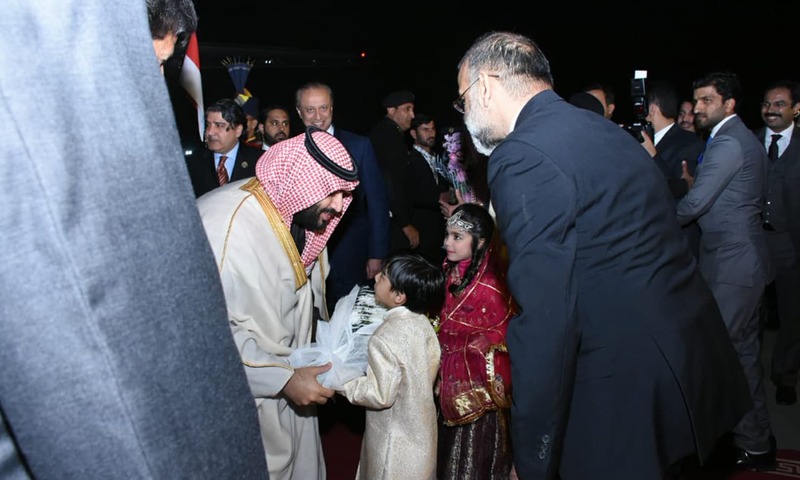 Saudi Crown Prince Mohammad bin Salman — also known as MBS for short — departed from the Nur Khan Airbase on Monday evening after concluding his first state visit to Islamabad. 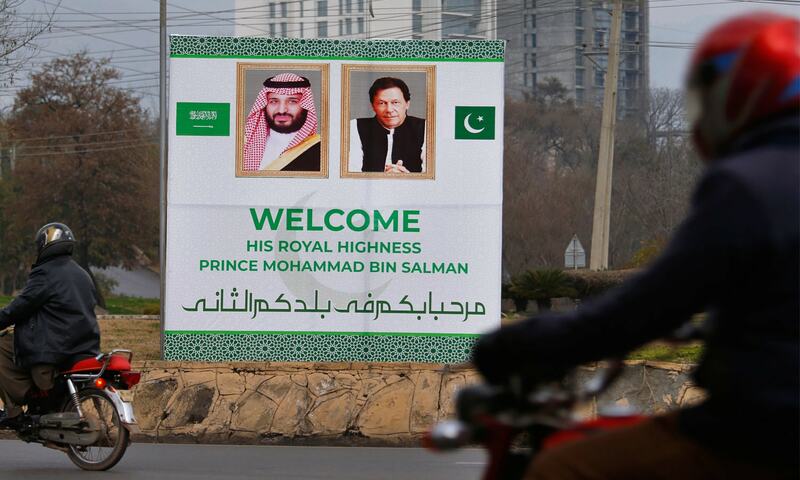 The Saudi crown prince had arrived in Pakistan on February 17 amid heightened security in the twin cities of Islamabad and Rawalpindi. 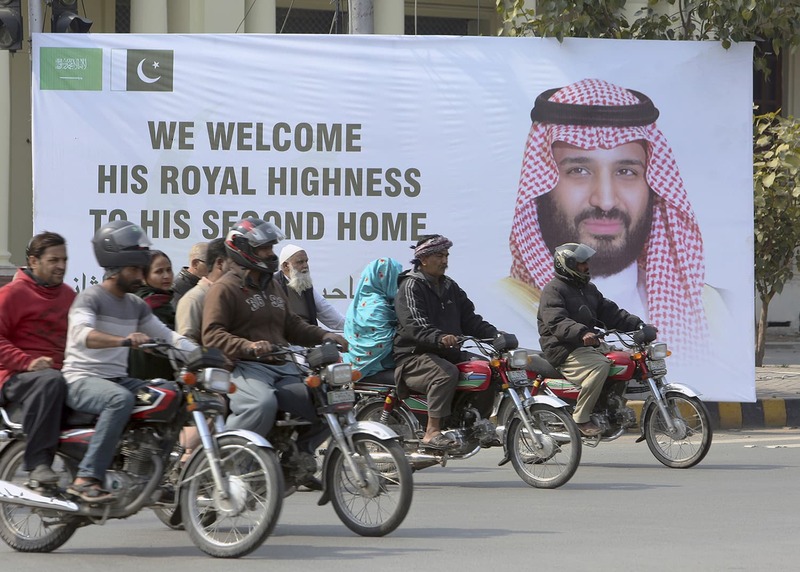 Motorcyclists pass by a banner welcoming Saudi Arabia’s Crown Prince Mohammed bin Salman displayed on the occasion of his visit, in Lahore on February 16. 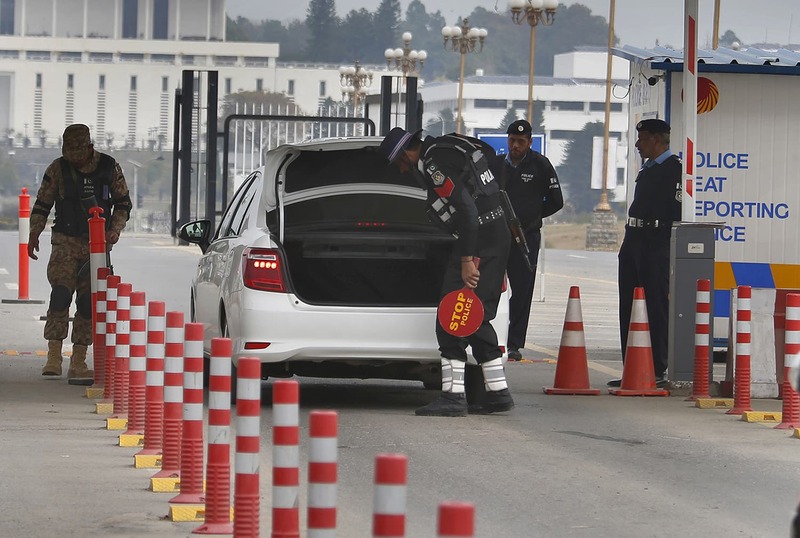 An army soldier stands guard while police officers search a vehicle at a checkpoint near presidency to ensure security ahead of MBS’s visit to Pakistan, in Islamabad on February 17. A welcoming banner featuring the portrait of the crown prince and Senate Chairman Sadiq Sanjrani is displayed on the building of the Parliament House in Islamabad. 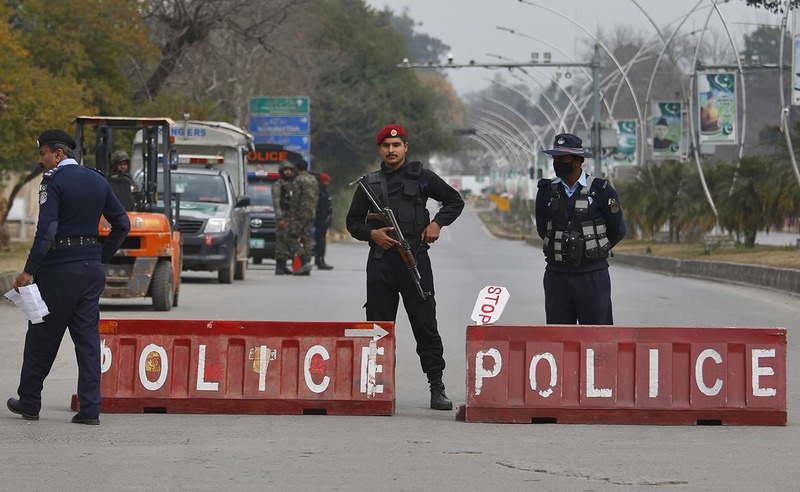 Pakistani police commandos and paramilitary soldiers stand guard at a highway to ensure security ahead of Saudi Arabia’s crown prince visit to Pakistan, in Islamabad on Sunday. 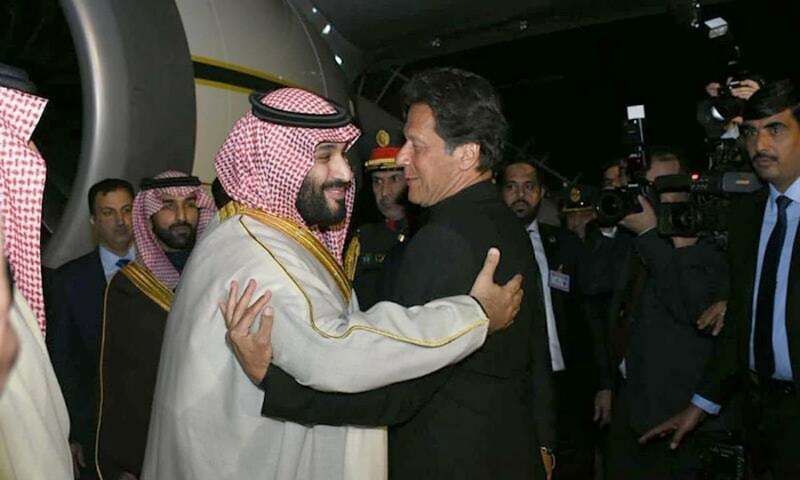 Prime Minister Imran Khan greets Saudi Arabia’s Crown Prince Mohammed bin Salman upon his arrival at Nur Khan Airbase in Rawalpindi on Sunday. 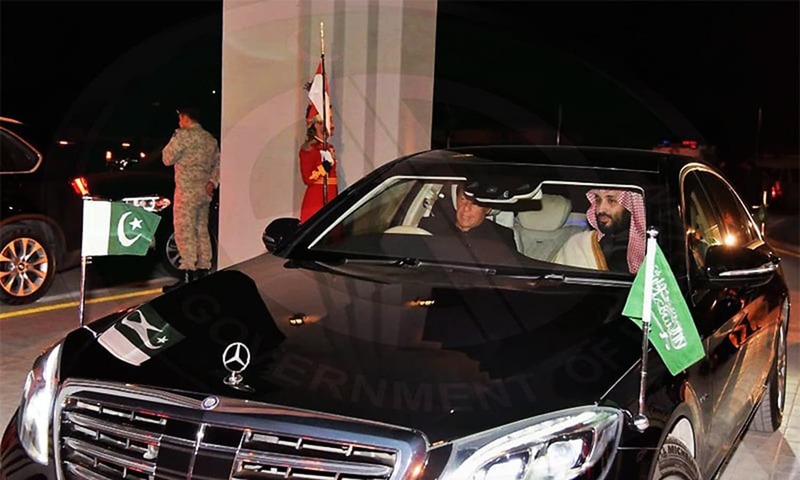 Prime Minister Imran Khan greets Saudi Crown Prince Mohammad bin Salman upon his arrival at Nur Khan Air Base. 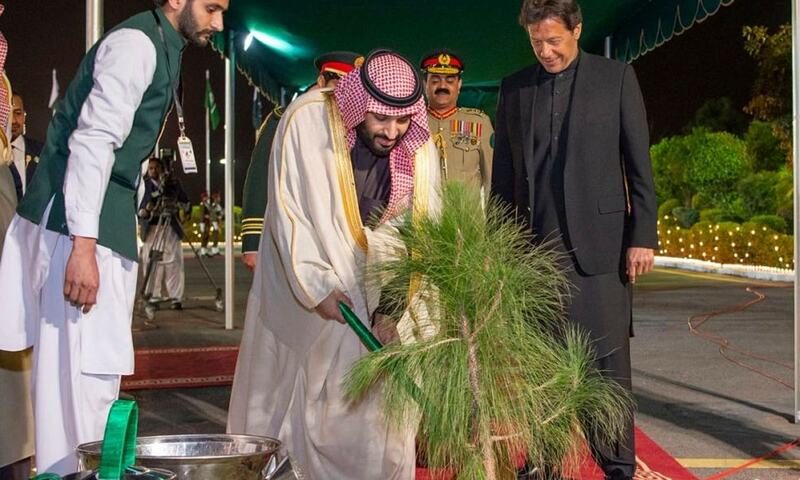 The crown prince plants a sapling in Islamabad. 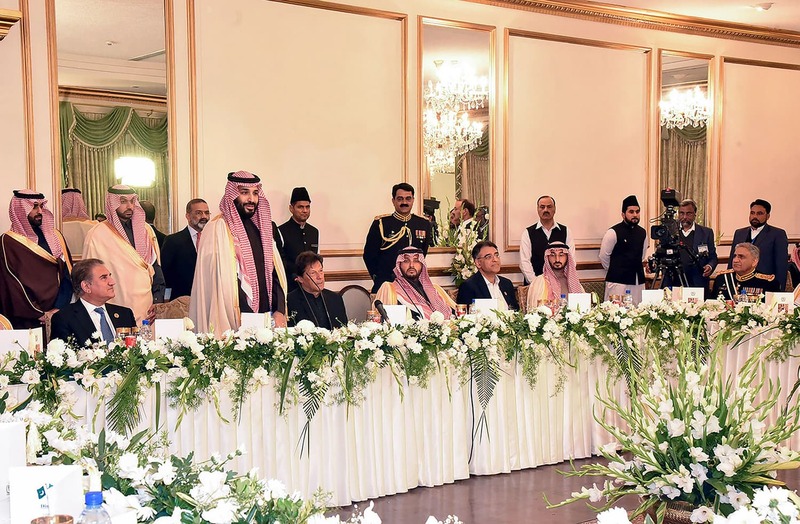 Crown Prince Mohammed bin Salman speaks next to Prime Minister Imran Khan during a reception at the Prime Minister House in Islamabad. 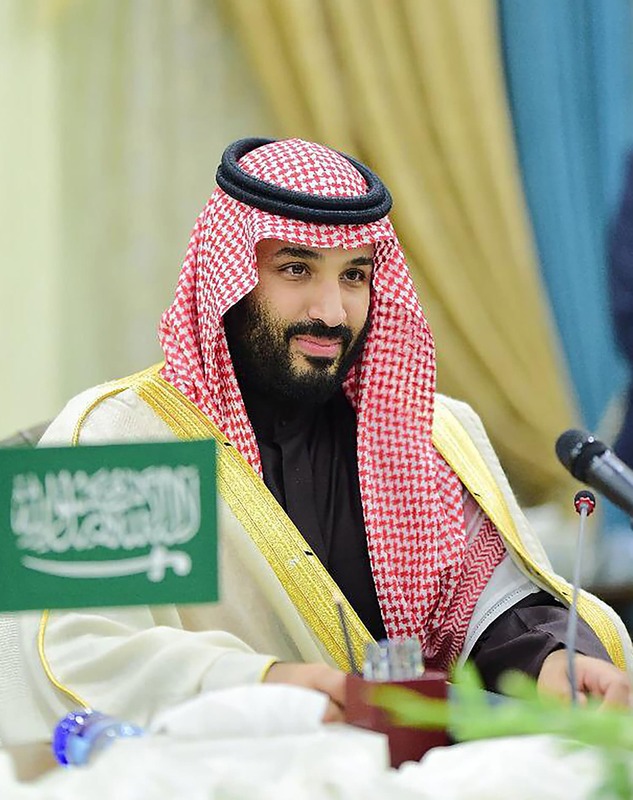 Crown Prince Mohammed bin Salman holds official talks with Prime Minister Imran Khan in Islamabad on Sunday. 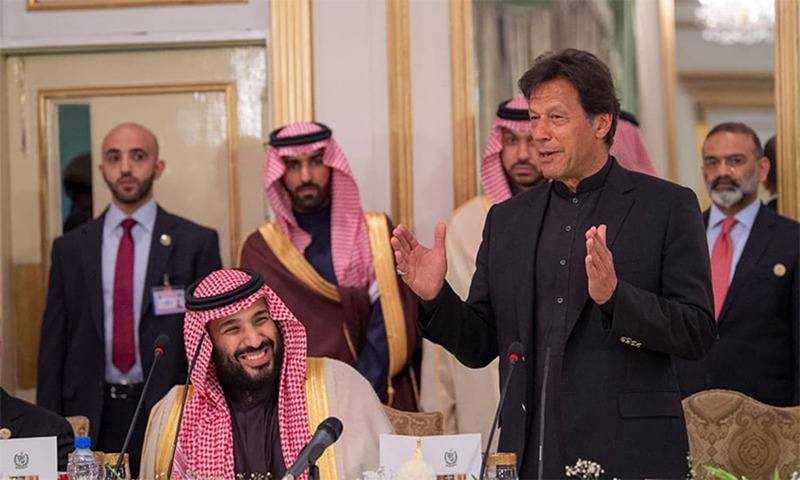 Saudi Arabian Crown Prince Mohammed bin Salman attends a meeting with Prime Minister Imran Khan at PM House in Islamabad on Sunday. 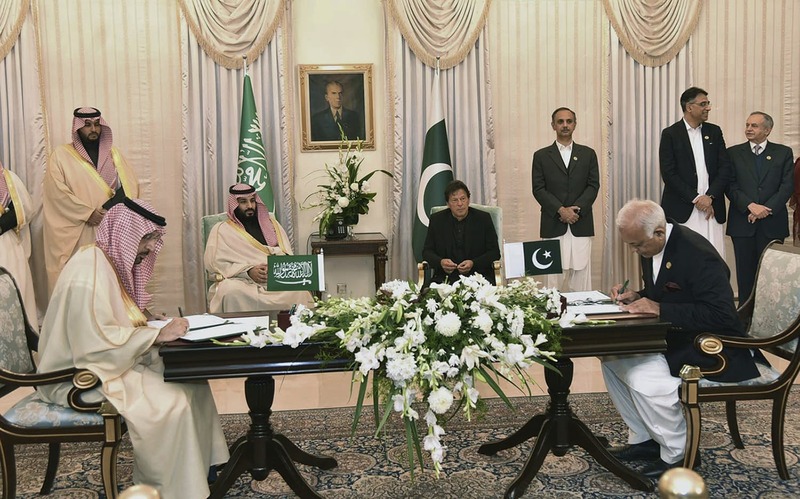 At a ceremony in the PM House, Pakistan and Saudi officials signed MoUs for bilateral cooperation in a number of areas — a process overseen by Prime Minister Khan and MBS. Details of MoUs signed by both countries. 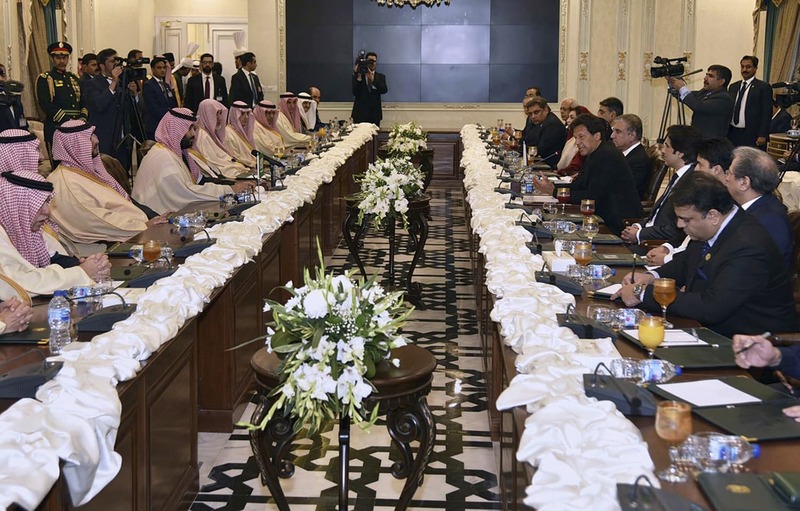 Prime Minister Khan hosted a reception dinner at Prime Minister House on Sunday. 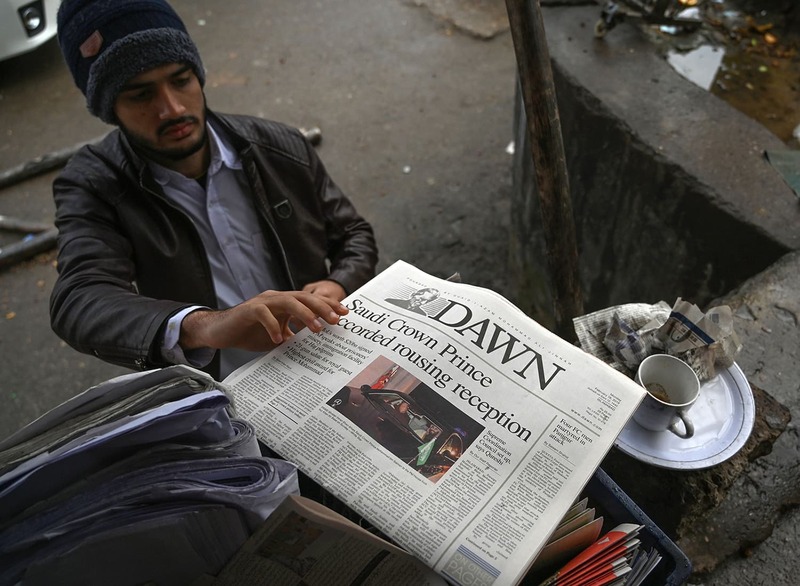 A man buys a morning newspaper with front-page-coverage of Saudi Arabian Crown Prince Mohammed bin Salman at a roadside stall in Islamabad on February 18. 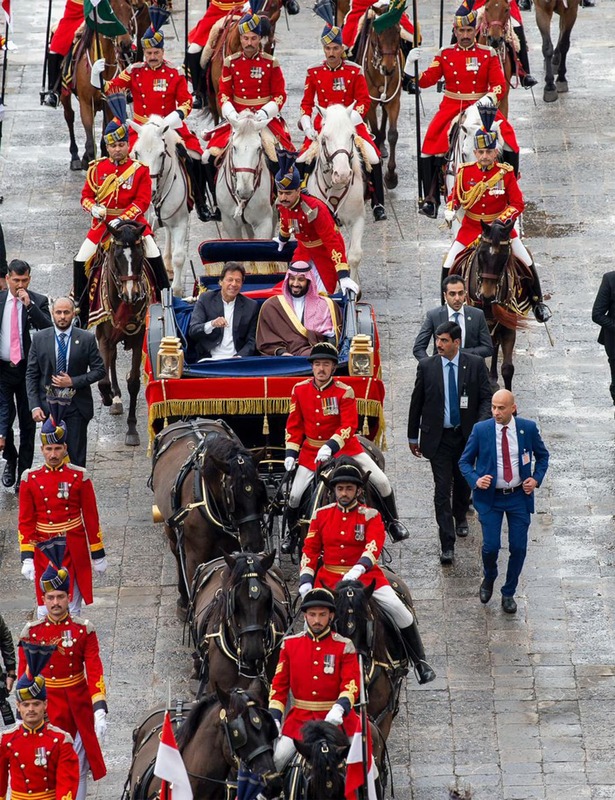 Crown Prince Mohammed bin Salman gets on a horse-drawn carriage to proceed to the President House in Islamabad on Sunday. 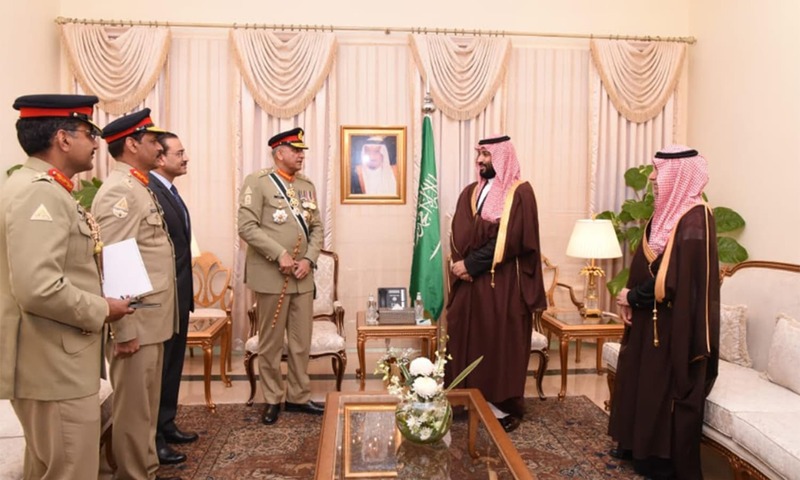 Chief of Army Staff Gen Qamar Javed Bajwa with MBS. 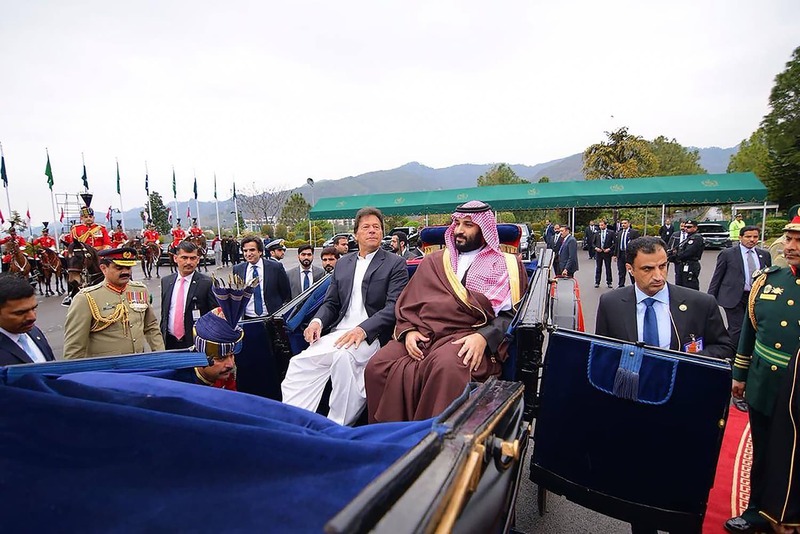 The Saudi crown prince and Prime Minister Imran Khan arrived at the President House in a traditional chariot. 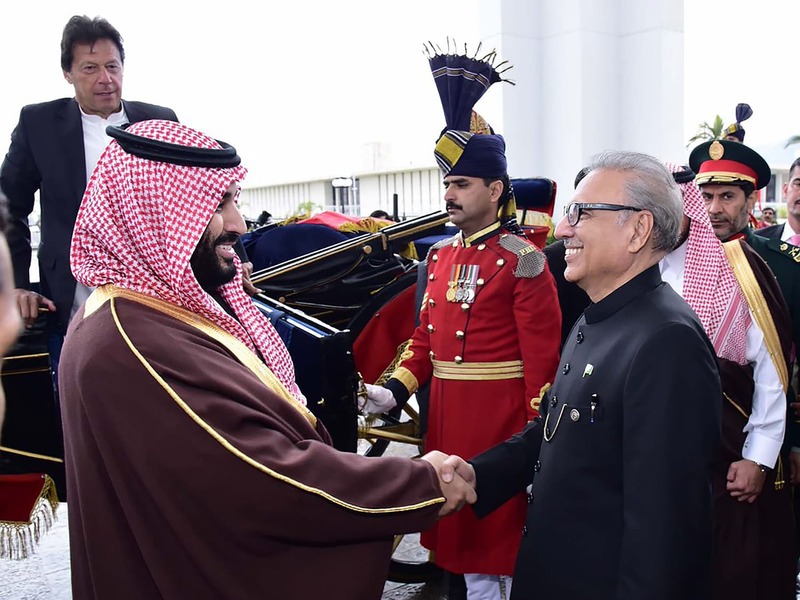 President Alvi shakes hands with the crown prince as Prime Minister Imran Khan looks on. 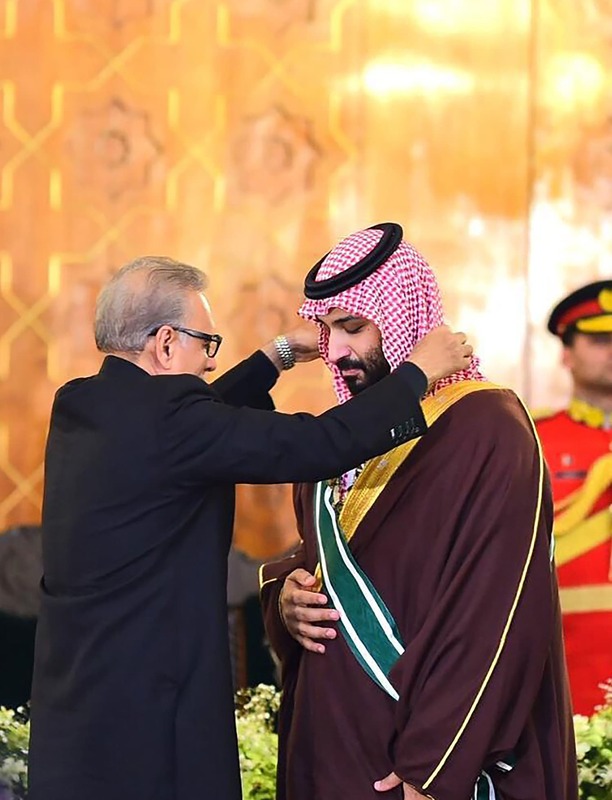 President Alvi on Monday conferred Pakistan’s highest civil award — the Nishan-e-Pakistan — on Crown Prince Mohammad bin Salman during a ceremony held at the President House in Islamabad. 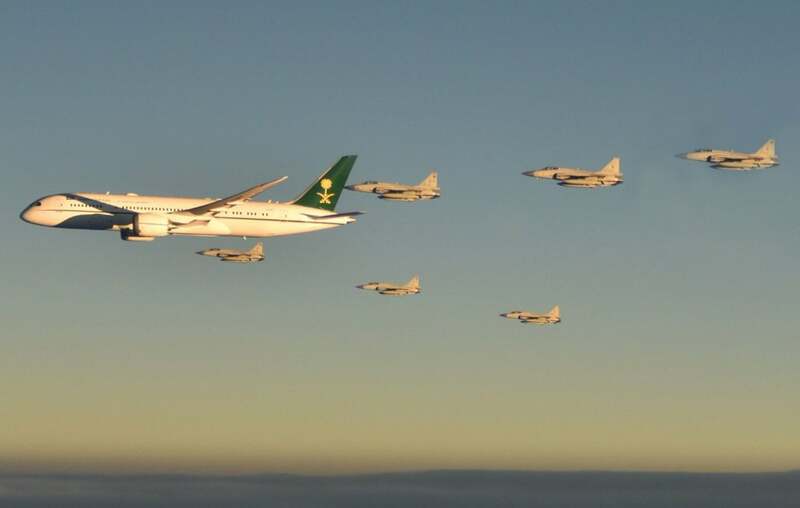 President Alvi presents a framed photograph to MBS of the royal plane flanked by PAF jets as it enters Pakistani airspace. 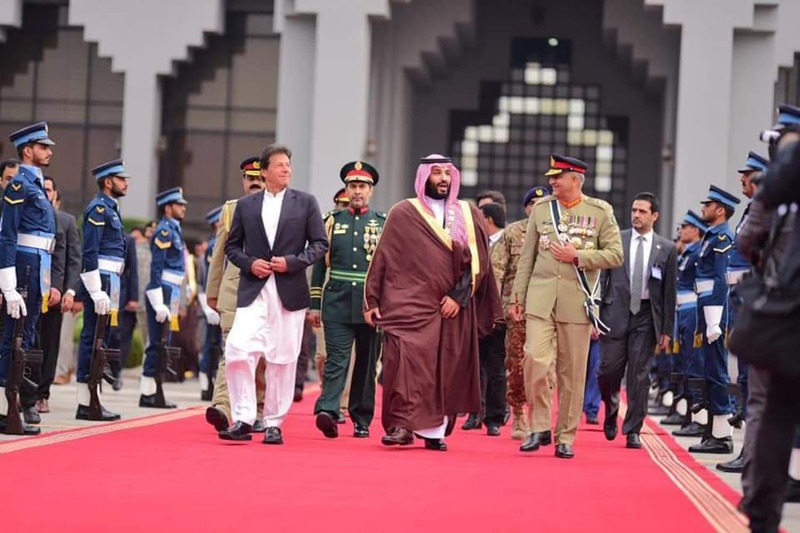 Prime Minister Imran Khan and Chief of Army Staff Gen Qamar Javed Bajwa later saw off Crown Prince Mohammad bin Salman at Nur Khan Airbase on Monday evening. 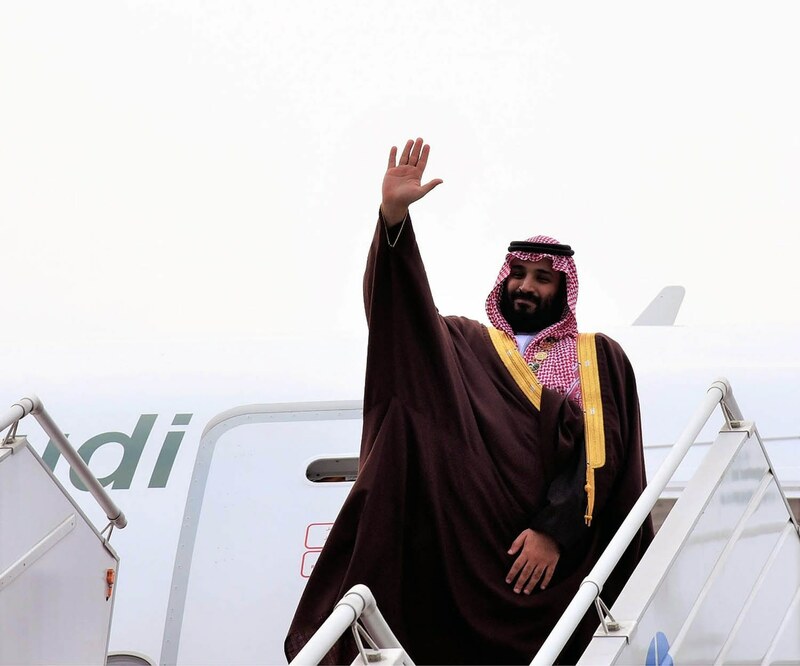 The crown prince waves before departing from Nur Khan Airbase. 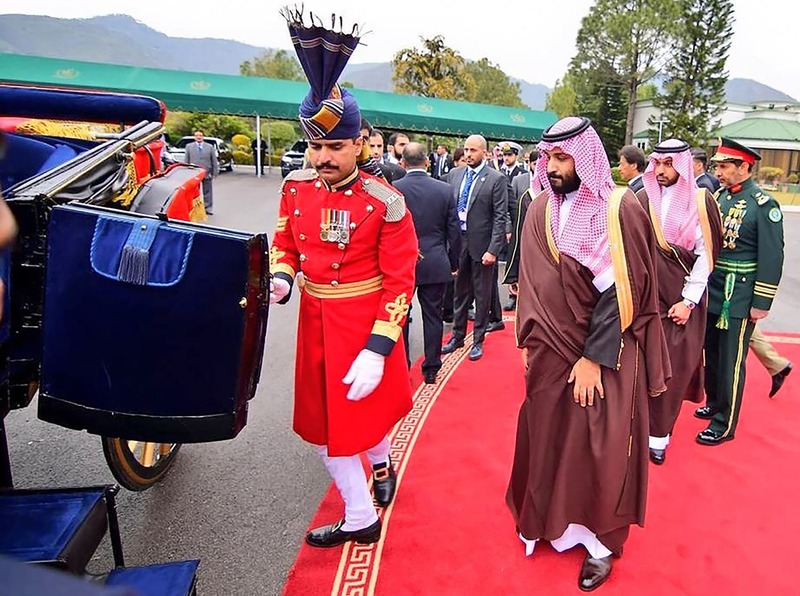 Header photo: The crown prince, who visited Pakistan on the invitation of Prime Minister Khan, was accorded a red carpet welcome and presented a guard of honour at the PM House.